Baby size (instructions listed first): To fit 0-6 months, or to fit a 13 to 15-inch (33–38 cm) head circumference. Adult size (instructions in parentheses): To fit an adult, teen or large child, or to fit a 19 to 22-inch (48–56 cm) head circumference. I am proud to present another free pattern for you over on the Barrett Wool Co. Journal! 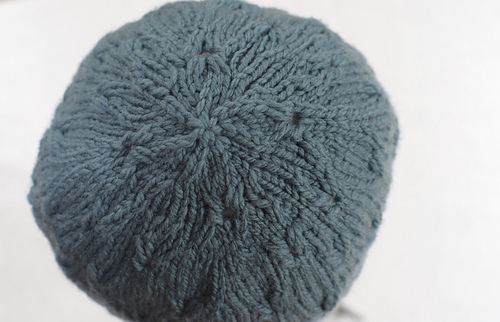 I have a lovely textured hat for you called Clover. 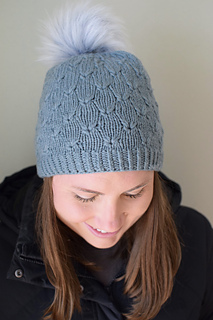 It is a fun hat to knit with an interesting stitch pattern that uses a unique technique to get the little leaves to appear. Once you get the stitch down you’ll look forward to this round. 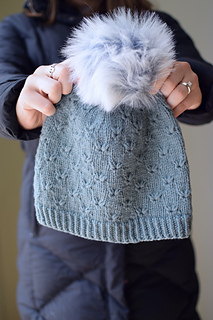 The hat is made out of one skein of Home Worsted Weight which is enough to make one of each of the adult size and the baby size hats. It’s kind of perfect! Have fun and enjoy this Journal free pattern! The pattern for Clover is only available on this Journal post. 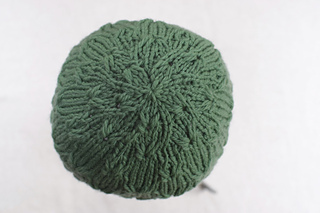 Please share any finished Clover hats with me on Instagram. I’d love to see what you create. Yarn: Barrett Wool Co. Home Worsted (100% American Wool; 230 yards or 210 meters/100 grams), 1 skein. Baby sample is worked in the Grassland colorway. 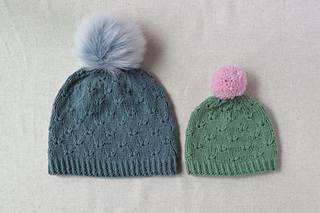 The pom-poms are in the Priscilla colorway. Adult sample is worked in the Bluff colorway. Yarn note: 1 skein of Home Worsted is enough to make one adult hat and one baby hat. The baby hat sample weighs 27 grams. The adult hat sample weighs 57 grams. Needles: US size 7 (4.5mm) 16-inch circular needles and a set of four double-pointed needles, or size to obtain gauge. 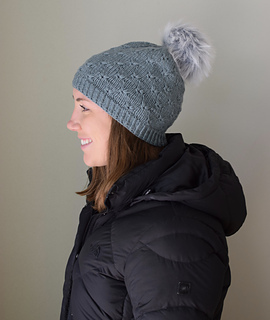 Watch Susan B. Anderson show how to make this hat on The Knit Show with Vickie Howell!